CD Projekt RED announced today that The Witcher 3: Wild Hunt has gone gold, and GTA 5 is out on PC. It's no wonder we're thinking about open word games. So many of them have been made over the years, but there are only a limited number of really good ones. Most of those offer both immersive worlds and engaging gameplay. These eight are definitely on that short list. Don't see your favorite? Tell us in the comments! 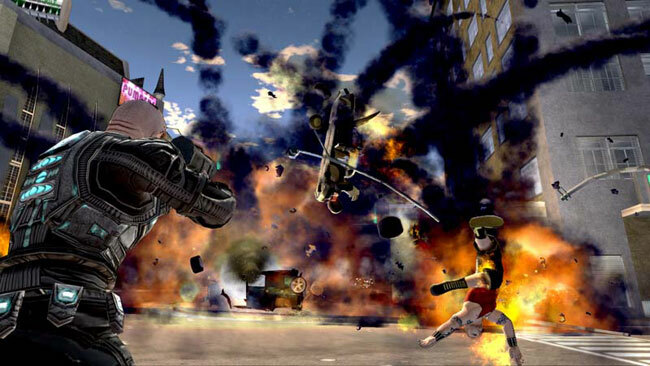 Crackdown embraced the idea of an open world, and added to it the idea of leveling up your abilities by collecting orbs found throughout the world. While the main story cast you as the good guy using your amazing abilities to wipe out the bad guys, you could deviate from this and simple cause havoc using your powers, although you will hear about it from your superiors. Even if you do toe the line of the story, you'll be in for lots of action. Open world games have improved a lot since then, but Crackdown is still a stellar example of the genre.